The old adage that simply eating and drinking too much caused gout has now been proven wrong, though it is true that if you over-indulge in alcohol – especially beer and wine – or food gout attacks are more likely. People get gout because there is something wrong with the chemical processes of their body. 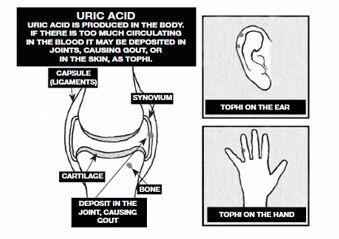 Uric acid (which we all have in our blood) can build up and form crystals in the joints and cause them to feel acutely painful. This defect is usually inherited from a parent or grandparent. Gout runs in families. The joints are not the only part of the body to be affected. Crystals may appear under the skin and sometimes elsewhere (such as on the lobe of the ear). They look like little white pimples and are called tophi. Too much eating and drinking can help to bring on attacks. Gout is due to too much uric acid in the body. Uric acid forms in the blood of healthy people as a breakdown product of various chemical processes. Normally, the body rids itself of any excess through the kidneys into the urine, so levels tend to be higher in people with kidney disease. Certain diseases produce too many cells (for example, white blood cells in some blood disorders). These cells release uric acid when the body has finished with them and they break up causing an increase in the uric acid level. Uric acid in the blood stream travels in the clear part of the blood – the plasma – in the form of a salt (urate). The plasma urate level normally tends to be higher in men than women. However, even if the level is high, it will not necessarily lead to gout. Close relatives of sufferers from gout may have too much uric acid in their bodies yet never have a single attack of gout in their lives. Certain tables – such as diuretics, which drain water from the body, used to treat heart disease or high blood pressure – increase uric acid and may cause gout. Gout is inherited (though by no means every member of a family gets attacks), but environmental factors can play a part. It is due to too much uric acid in the body. This is the most painful of all forms of rheumatism or arthritis. Attacks usually start during the night, often with pain in the big toe. The toe becomes very red, swollen and extremely tender. Even someone bumping into the bed can cause pain. It sometimes resembles a boil near the joint and it can be difficult even for a doctor to tell whether the trouble is gout or inflammation in a bunion. The inflammation is caused by uric acid crystals being shed into joints. 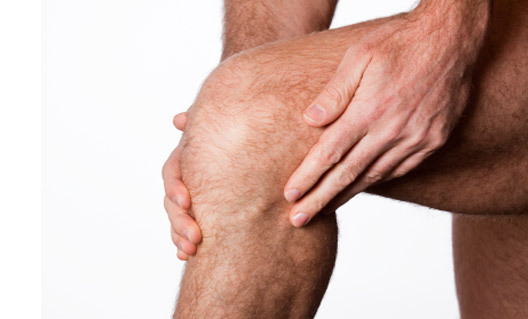 Other joints – the knee, the elbow or the wrist, for example – may be attacked. If you are a gouty subject and injure or bruise a joint which then becomes more painful, or takes longer than expected to get better, always see your doctor. You may have triggered an attack of gout. Apart from injury, other things such as fatigue, worry or illness can start an attack. Sometimes an operation (even a minor one like having a tooth out) can bring on an attack a few days later. Excessive eating and alcohol can be another cause of attacks in those who have inherited a tendency to gout. Always suspect an acute attack of gout if a joint is unduly painful after a minor injury. Anything which upsets your system may bring on an attack. Always be on the lookout for the early signs of an acute attack, because the earlier you start the treatment the better. The first few attacks of gout do no permanent damage to the joints and you can expect complete recovery, leaving you with a normal joint. It is only when a joint is repeatedly attacked by gout – a rare occurrence nowadays – that the uric acid crystals damage the joint and so start off chronic arthritis. In mild cases the attacks are often so infrequent, with intervals of many years between them, that permanent damage is unlikely ever to occur. Gout is occasionally associated with high blood pressure and too much fat in the blood (hyperlipidaemia). Also, stones may form in the kidney if gout is untreated. A blood test will usally be required. A blood test. This measures the amount of uric acid in the blood (as plasma urate). A raised level strongly supports the diagnosis of gout; but unfortunately this may be present in the other conditions already mentioned, and also in healthy people who do not have gout – especially if they are overweight. Examination of joint fluid. 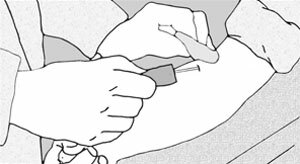 Synovial fluid may have to be withdrawn from a joint through a needle for examination under a microscope, where any crystals of urate will be quickly spotted. If crystals are present, the diagnosis of gout is proved. This test, which seldom causes more discomfort to the patient than a blood test, is particularly useful when gout starts in an unusual way. For example, it can occasionally mimic another form of rheumatic disease such as rheumatoid arthritis. X-ray of joints. These may be done, but as they often appear normal they may not help in the diagnosis. Repeated attacks of gout may damage a joint and cause arthritis. 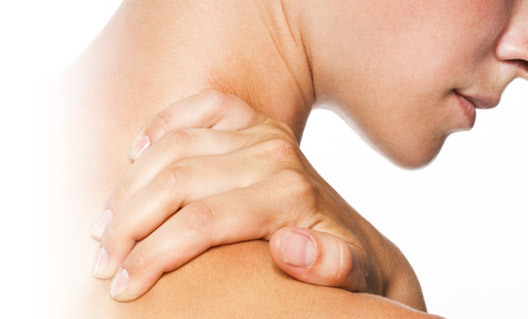 Modern treatment can prevent arthritis developing. Acute attacks of gout are usually treated by anti-inflammatory analgesics (tablets that relieve pain and help inflammation to subside). Indomethacin was often the first choice, but there are now many more other non-steroidal anti-inflammatory drugs (NSAIDs for short). These drugs do not contain any form of the steroid, cortisone. Drugs containing aspirin should be avoided. Used for the short periods needed to treat an acute attack, these tablets are unlikely to cause side-effects. But occasionally a patient with a tendency to allergy may notice indigestion, a rash, headache, dizziness, or even asthma. Anything more serious – such as damage to the cells that form blood – is very rare. Unfortunately, there is always a slight risk of indigestion in some people; anyone who has had a peptic ulcer has to be especially careful to make sure that their tablets are taken either with a meal or straight after eating. Colchicine is another tablet that has long been used to treat acute attacks. This is an old-fashioned remedy obtained from the meadow saffron – the autumn crocus – and it is safe and works well. A doctor usually prescribes colchicine tablets to be taken every two hours until the pain is relieved or until diarrhoea occurs. If the acute attack resists treatment, your doctor may have to prescribe a cortisone-type drug. If possible, tablets should be taken at the very beginning of an attack, and sometimes – if attacks are repeated – the doctor may give you tablets to keep by you so you do not have to wait until he arrives, or the chemist opens. By following your doctor’s instructions carefully and promptly, your attack of gout can usually be controlled quickly and satisfactorily. A painful joint such as the big toe may have to be protected. A “cage” over it taking the weight of your bed-clothes can offer quick relief. The drugs given to relieve an acute attack have little effect on uric acid levels in the blood. They can do little to prevent further attacks, or stop uric acid being laid down in the joints. Should your attacks become more frequent (chronic), or if blood tests show you are accumulating too much uric acid, your doctor may decide to prescribe one of the drugs that reduce the quantity of uric acid in the blood. These have to be taken every day, whether you have an attack or not, as a preventive measure. The object of preventive treatment is to keep uric acid levels controlled. Attacks of gout are avoided by stopping uric acid crystals from being deposited in the joints and other parts of the body, where they may do damage. There are now several drugs available that will do this satisfactorily, but it must be appreciated that you may have to persist with daily treatment for the rest of your life. Should you stop, uric acid will begin to accumulate again. These tablets are prescribed to be taken regularly. Taken consistently over a period of the treatment ensures that you maintain a normal blood level of urate. The most common of these tablets is allopurinol that reduces the amount of uric acid made by the body. It is remarkably safe even when taken for years; the only side-effect that occurs at all frequently is a rash, which disappears when the tablets are stopped. Other types of drug used to control uric acid include probenecid or suphinpyrazone, which flush out uric acid through the kidneys. Sometimes acute attacks of gout may become more common when these drugs are first started, so it may be necessary to take colchicine or an NSAID as well. Whichever drug proves right for you, drinking plenty of fluid will help to get rid of urate through the kidneys. Preventive treatment means life-time treatment. Drink plenty of fluids — water! Treat any acute attacks in the usual way. The most effective dietary treatment for gout is losing weight if you are overweight. This can significantly reduce urate levels in your body, but it must be done gradually because extreme weight loss or starvation diets (fasting) can actually raise urate levels (because they increase cell breakdown in the body). 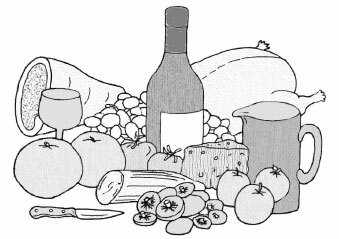 The second most useful dietary change if you have gout is to cut down on alcohol. Excessive alcohol consumption has been associated with gout for centuries. If you have gout it is advisable to keep your alcohol intake below the safe maximum levels recommended. Currently this is 3-4 units a day for men and 2-3 units a day for women. A unit is 1/2 pint (0.3 litre) of ordinary strength beer, lager or cider (3.5 %) abv), a single pub measure of 25ml of spirits (40% abv), or a very small glass of wine (12% abv) - no more than 85ml, which is much smaller than the standard wine glass used! To reduce the risk of urate crystallising in the joints (the cause of the severe pain in attacks of gout) it is important to drink plenty of water - if possible as much as 3.5 litres (6 pints) a day. You can include some other fluids in this total (but not beer or other alcoholic drinks), but if you are trying to lose weight bear in mind that many soft drinks contain large amounts of sugar and should be avoided. Urate is produced from purines, which are chemicals which result from the breakdown of cells. Cutting down on foods which are high in purines can be helpful if you have gout. These foods are shown in Table 1. Note that urate levels are not affected by so-called ‘acidic foods’ like oranges or grapefruit, so you can eat these safely. The fact that oily fish such as herring, mackerel and sardines are high in purines means that they are not recommended if you have gout. However they are rich in special oils which may be beneficial if you have other types of arthritis. Rarely. The disease is very occasionally found in older women, particularly if they are taking diuretics, drugs which are used in the treatment of high blood pressure or heart disease, because these drugs can cause the body to retain uric acid. Gout in young women is extremely rare and requires special investigation. Can Gout cause serious joint disease? Occasionally. This can happen if the condition is left untreated. At first the attacks are acute, the joint afterwards returning to its normal state, but eventually the deposits of uric acid can cause severe deformity and disability. Fortunately this is preventable with proper treatment. Is uric acid deposited elsewhere than in joints? Yes. It can be deposited under the skin - for example, on the ears. It can also be deposited in internal organs, particularly the kidneys, so that it is usual to test kidney function when investigating a patient with gout. A specimen of your urine may be needed for this. Can it be harmful to take drugs that lower uric acid over a long period? The drugs in question are remarkably safe. They sometimes have to be discontinued because of an adverse effect such as a rash or dyspepsia, but otherwise they can be taken indefinitely without side effects. This is gout that is predominantly due to a well defined underlying cause. Diuretics have already been mentioned; other causes include certain rare blood diseases that raise the level of uric acid. Low-grade lead poisoning - seen in plumbers and painters during the last century - was once a cause of secondary gout. Usually, however, it is impossible to identify such causes, and the condition is then referred to as a primary gout. Are there any other types of crystal - apart from uric acid - that can cause joint disease? The only other common kind of “crystal arthritis” is caused by a certain type of calcium crystal, which is deposited in the joints rather like uric acid and is called pseudo gout. It may cause acute attacks rather like gout, but the knee is more often involved than the big toe. Is Gout equaually common in all countries? There are certain races (such as some of the Pacific peoples) who have high uric acid levels and who are therefore especially susceptible to gout. The prevalence of gout can also vary in the same people at different times - it became rare in Europe, for example, during the period of deprivation and hardship caused by the Second World War.